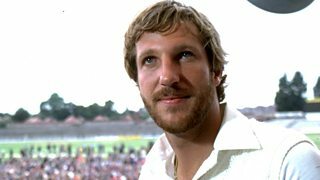 Caller Matt reveals his famous cricketing uncle... and that he doesn't like cricket. 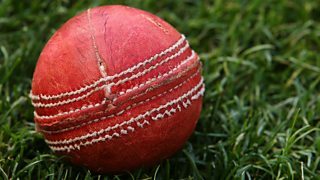 England's Jimmy Anderson says he didn't pick up an injury during the first Ashes Test. 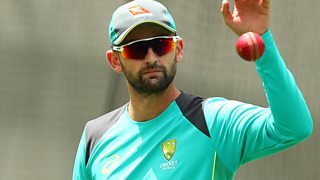 Jimmy Anderson wonders whether Nathan Lyon lost a bet after recent comments on England. 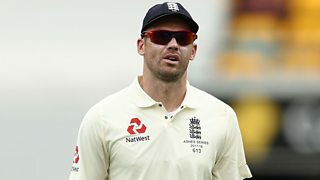 Jimmy Anderson's low-key reaction to being named in the Greatest Ashes XI. 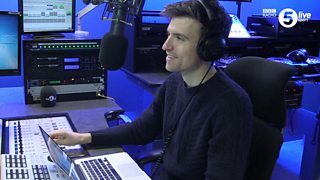 TMS60: Greg James drops a dolly...while on the phone! 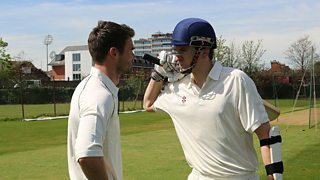 Greg James takes on England fast bowler Jimmy Anderson. 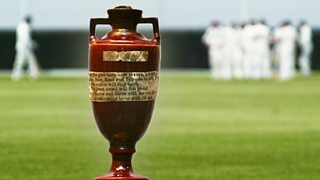 The BBC brings you exclusive live radio coverage of the Ashes series in Australia. 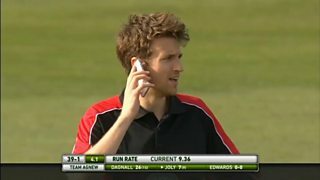 TMS60: Your man of the match...Greg James! 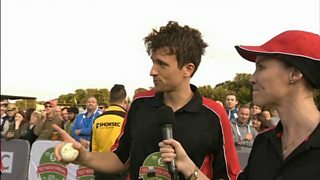 Greg James takes the man of the match gong in Test Match Special's Anniversary Match. 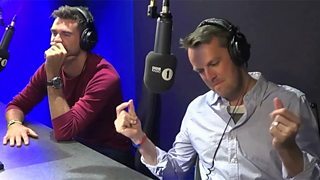 Graeme Swann hears a special power ballad dedicated to him following his retirement. 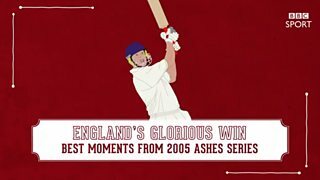 Test Match Special travels back to England's famous Ashes-winning summer of 2005. Greg makes a verbal slip up he isn't allowed to forget. The England cricketer jokingly shreds a picture of Ravi Ashwin after IPL controversy. 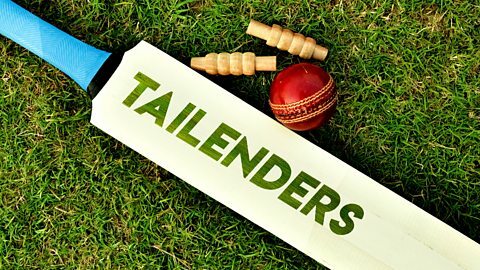 James Anderson discusses the controversial Ashwin-Buttler 'Mankad' dismissal.